London is known for their pubs and curries but I was hoping for something I could never find at home. While researching places to eat in London I knew I wanted to eat at places that locals loved and if possible get an authentic, ethnic experience too. 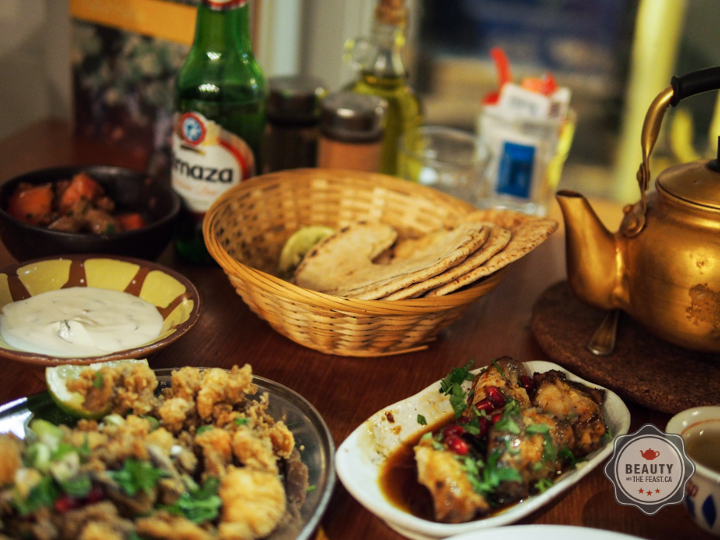 Rave reviews lead me to Yalla Yalla Beirut Street Food. We arrived to a 45 minute wait - nothing by our standards and bunkered down with others in line. The line up enjoyed the antics of a couple from London throwing a 'wobbler' at the wait, and then we were entertained by a never ending stream of eager young men partaking in the brothels flanking the restaurant. Is it is rude, dear reader, to be amused by how short the visits are? ;) ahh youth! It's a gritty area, but isn't street food supposed to be a little gritty? It's a rare occasion that food intimidates me. At first glance all the dishes seemed to share similar flavour themes. The wait staff courteously guided us through the process and in the end I was very pleased with our choices. Tender tender tender!! a little bit spicy but just a beautiful blast of flavours. Sweet, spicy, rich. Soujoc: Homemade spicy Lebanese Sausages with tomato, parsley and lemon juice. Much like Tom Sellek's moustache, gratuitously savory while making a big impression but simultaneously comforting like a warm hug. 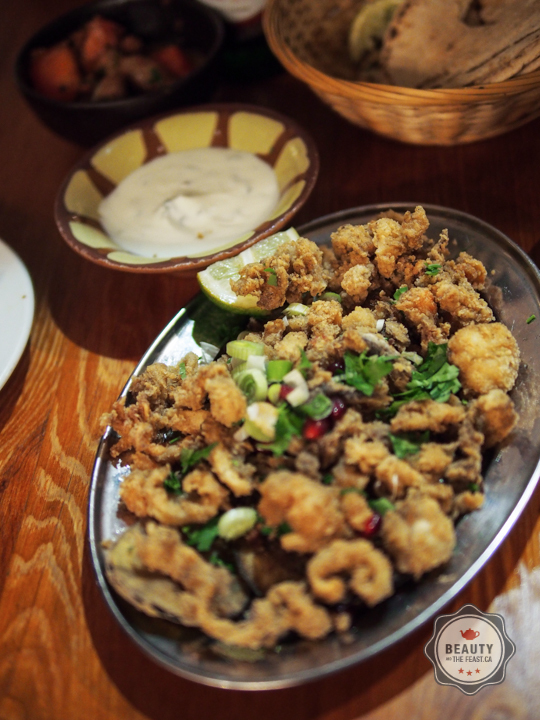 Makale Samak: A medley of crispy fried seafood. Surprisingly, Jong's favourite, and he's not a seafood lover. Crisp, light and everything calamari should be. And a delicious bean and lamb stew with Cilantro on Rice where the name escapes from me right now. Fork tender bits of lamb with hearty beans. This would be an easy meal to enjoy at home when you need energy for a couple of hours. Fantastic! Yalla Yalla is a wonderful ethnic restaurant best for small groups (the tables are few, but worth the wait) and the prices are excessively reasonable. I would be hard pressed for another place that would have this level of execution, authenticity, value in a no pressure, completely chill - let us feed you - atmosphere. Loved it. Wish there was one within walking distance from my house. For those of you that can go. Please go enjoy!